What is the most intuitive Freshdesk alternative? Helpdesk softwares are essential for mostly any company that wants to exist in the market. Freshdesk is cool. 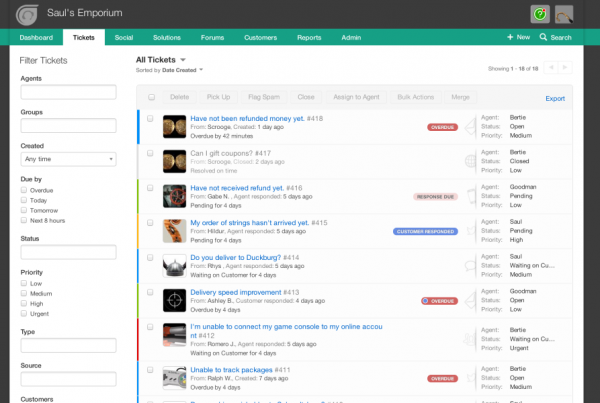 It is a helpdesk software with many features, covering from tickets to the reports with a great amount of possibilities. So how can something out-stand a solution like it? Well, we believe there are some aspects that can work even better. But we begin with a question: is more always better? Imagine a Helpdesk card. What does it look like? For us, it looks like an email converted into a software. After the customer support team finds a solution for this card, it is turned into an email. So, the current process is: Receive an email > Transform it into a Helpdesk card > Find a solution > Send a response back as an email. So if you need to switch from support and personal messages, you, as an user, will probably have to switch applications, from your email account, to their software. It might not seem very important in the beginning, but during your work day — and work-life —, switching makes productivity decrease enormously, and takes lots of precious time. When you think about it, it becomes easier to understand that if you integrate and manage every step on the same tool, work will become more productive. A more intuitive alternative should integrate everything in one single place, making the whole experience more immersive and excellent. Then, what if you try an intuitive Freshdesk alternative that powers up your email with a team inbox feature? With team inboxes and the right features, your team will be able to collaborate in real time, in the same space: their Gmail. Although Freshdesk provides an incredible experience on its platform, you probably still use email for business communication. A more intuitive Freshdesk alternative should integrate everything in one single place, making the whole experience more immersive and excellent. If you can add these features in your Inbox, why not transforming your Inbox into a Helpdesk? 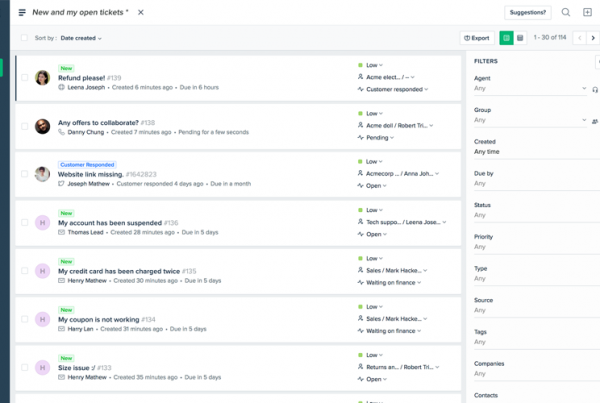 Of course, this kind of Freshdesk alternative is usually simpler and lighter than a standalone Helpdesk application, but what features would be fundamentally a deal-breaker for you and your Company? Sometimes, less is more. 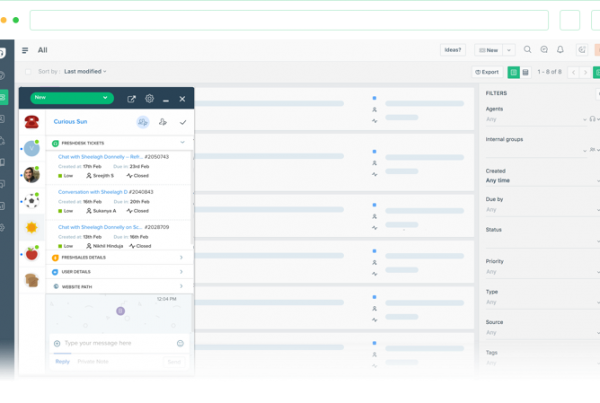 A more immersive and intuitive Freshdesk alternative doesn’t need a more complex system. It’s exactly the opposite. When you understand the whole thing, it’s easier to make things simpler. At Drag, we believe that good experiences are the ones that add more value for users and makes their effort decrease at the same time. And a software with multiple integrated functions — that make sense between one another — has great value. We truly do not know all functions people can achieve with our product, which is why we want everyone to try it out and make the most of it. The Helpdesk feature on Drag is very simple, to start it out, your emails become cards, so you can drag and drop as your support progresses. At first we see more features as something better, but you must stop and think if you really need it all. If your company doesn’t need a lot, you might end up paying more than you had to. Also, have in mind that your email won’t be able to do everything Freshdesk does, but it surely will make work faster and much simpler. By prioritizing simple processes, you can do much more for your customers, team and company. Your email won’t be able to do everything Freshdesk does, but it surely will make work faster and much simpler. By prioritizing simple processes, you can do much more for your customers, team and company. Then, choose your tool based on your specific context and priorities. What essential features does a Freshdesk alternative need?